On Saturday, Dr. Joe Zambon arrived in New England to board the R/V Neil Armstrong for a journey down to offshore Cape Hatteras, NC. The study is part of the PEACH, Processes Driving Exchange at Cape Hatteras, grant sponsored by NSF (Award: 1559476). The next day will be spent mobilizing and retrofitting equipment onto the vessel for meteorological rawindsonde balloon deployments, a first for the R/V Neil Armstrong. After a short mobilization period in the frozen waters of Woods Hole harbor, the scientists and crew onboard will repair and replace moorings deployed in the first research cruise of the project back in April 2017. In addition, measurements will be taken to help characterize and better understand the meandering nature of the Gulf Stream as it bends out to sea at Cape Hatteras. In addition to the 15 scientists onboard, the group will be communicating with dozens of researchers back on shore to determine the best areas of deployment utilizing observations and numerical models. The cruise is scheduled to begin on 8-January and wrap up around 22-January. 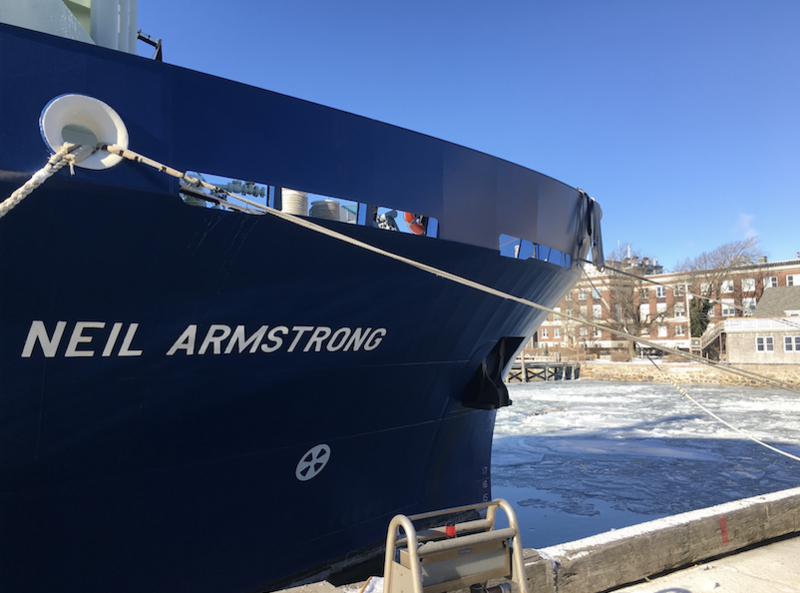 Keep an eye on our blog for updates from the R/V Neil Armstrong!